Tiffany and Netflix are cookin' something up. 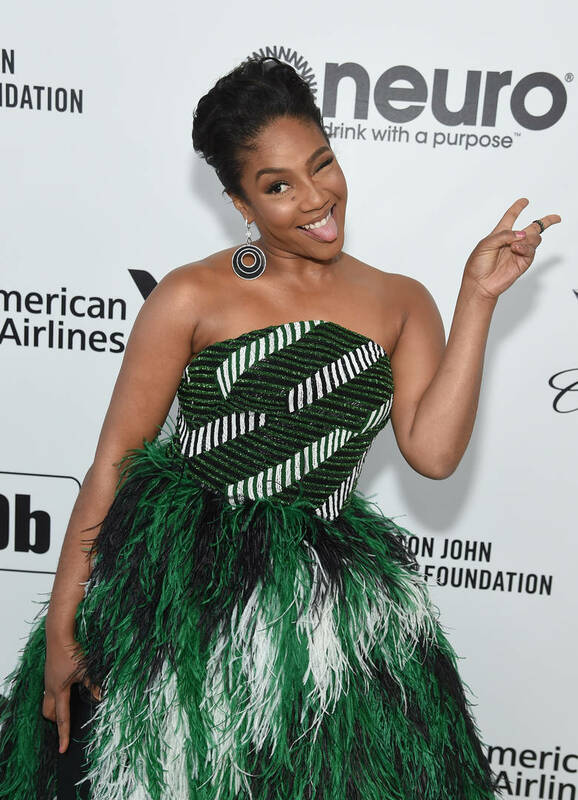 Tiffany Haddish has landed quite an exciting deal with Netflix to executively produce a comedy series that will present some of her favorite upcoming acts, The Hollywood Reporter reports. Tiffany Haddish Presents: They Ready will follow six comedians each given a 30-minute spot to showcase their jokes. According to the publication, the six lucky jokers are Chaunté Wayans, April Macie, Tracey Ashley, Aida Rodriguez, FlameMonroeand Marlo Williams. Tiffany is familiar with all of them having crossed paths in comedy clubs or television. The aim is to uplift more women, LGBTQ performers and people of color and give them the spotlight they deserve. "I am introducing six of my favorite comedians," Tiffany said of the series. "In my eyes, they are superstars — the epitome of They Ready." In other Tiffany endeavors, the Girls Trip actress previously discussed her plans to drop an album. After receiving a Grammy nomination for her The Last Unicorn audiobook, it inspired her to do even more with her vocals.